Today former volunteer Kelly McMeekin shares some fascinating research on William McCance, one of the students she has researched as part of our World War One Home Front research project. William McCance (1894-1970) was a Drawing and Painting student at The Glasgow school of Art from 1911-1915. He was also a Conscientious Objector (CO) during the First World War, something which was to have great impact on his life in his early twenties. McCance was born in Cambuslang, just outside of Glasgow and later moved to England with his first wife and fellow artist Agnes Miller Parker who was also GSA alumni and a prominent wood engraver. The early years of their relationship was marred by the traumatic climate of the First World War. William spent time in prison in Wormwood Scrubs Prison in London and also at Home Office work camps for his beliefs. At the end of 1915 WW1 was raging, more troops were desperately needed and the numbers of voluntary sign ups was beginning to decline. 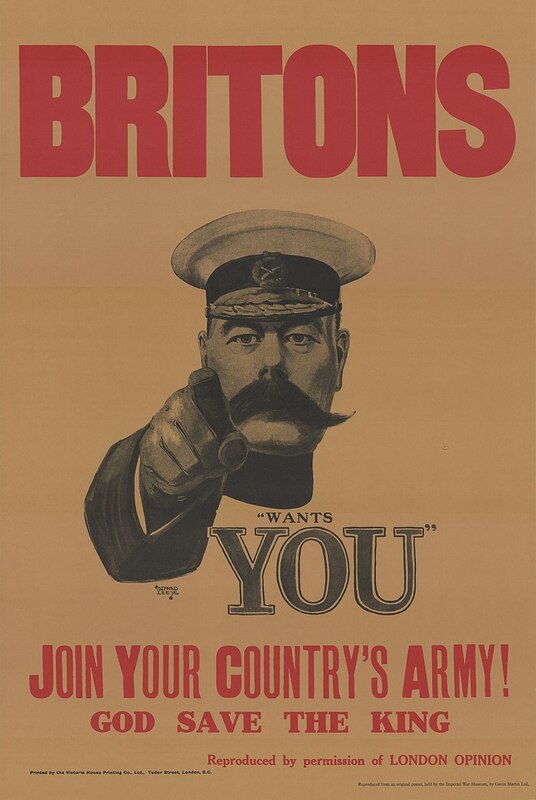 Not even Lord Kitchener’s famous ‘Your Country Needs You!’ propaganda couldn’t rally enough voluntary troops to sustain the war effort, despite the fact that this campaign alone had encouraged roughly half a million men to enlist! And so, by Jan 1916 the Ministry of Defence decided to introduce conscription, meaning all single men between 18 and 41 years of age were conscripted into military service for the first time in British history. If you fit into that category for conscription, it was possible to appeal on account of religious or political grounds, but these appeals were very rarely upheld. Most tribunals were held in public, and often took an aggressive turn, with officers trying to ridicule and catch out those appealing. Often, to avoid the stress and trauma of such an ordeal, many COs opted to join the NCC (Non Combative Corps) taking on roles that did not require them to take up arms. The Non Combative Corps was a regiment created especially for COs so they could still contribute to the war effort, but in a non-violent manner. However there was a small contingent for whom even this act was too much for their strongly held pacifist beliefs. These individuals were known as absolutists and these men more often than not were sentenced to time in prison as well as sometimes attending hard labour work camps designed for COs. The third were the alternativists who believed they could assist the war effort by carrying out non-violent ‘work of National Importance’. More often than not these individuals were sent to Home Office Work Camps, which was modelled on a modern open prison with leave on weekends and some evenings, you could also apply for dispensation to leave/visit family. Life as a Conscientious Objector during WWI made for a difficult life for not only the individuals themselves, but also their families too. ‘Conchies’ as they were known, were perceived as cowards and shirkers of duty. They were treated, in some cases, less than favourably by the military – subjected to mental bullying and sometimes physical harassment as well. 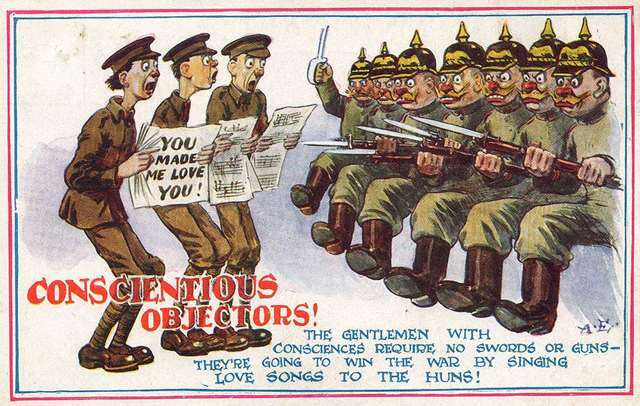 The treatment of COs extended to the media as well where they were portrayed very negatively at a time when propaganda was a key component of wartime communications. They were shunned in their community as were their families who had to try and continue their day to day existence whilst living with the stigma of having a CO in the family. They in turn were treated with suspicion and sometimes even as sympathisers with the enemy, making wartime life on the home front even more difficult than it already was. Despite all of this, during the course of the war, 16,000 principled individuals claimed conscientious objection. McCance was initially court marshalled for failing to attend for military service with the Depot of Scottish Rifles, having been called up in 1916. He was initially court marshalled to appear at Hamilton Sheriff Court and on account of that he was sentenced to 112 days with Hard Labour at Wormwood Scrubs. After this sentence the CO would be called up again and given the option to take on the uniform and report for duty or appeal once more. If they appeal was rejected the cycle would begin all over again with imprisonment or being sent to a work camp. McCance must have refused this option and we know from Imperial War Museum records he was moved to Knutsford Work Centre (part of the Home office penal programme for COs). Life in Work Camps varied greatly – in the early days they were poorly organised, with COs living in near intolerable conditions, like the one in Dyce just outside of Aberdeen where COs were forced to live in tented camps, breaking up rock in quarries for use in road building. In fact conditions in this camp were so bad that one of the COs, Walter Roberts from Stockport, aged just 20, died from Pneumonia. This had a great impact on the government who acted to improve work camps. Measures were put in place to ensure that camps like the one set up at Dyce were not deemed fit for purpose and some prisons such as Wakefield Prison were repackaged into Work Centres to accommodate COs.
McCance was eventually discharged/released in February 1919. In 1918 he had married artist Agnes Miller Parker and after the war they moved to London. McCance took on work as an art critic, and also began to teach. He was well connected with leading figures of the day such as artist Hugh McDairmid and writer Edwin Muir. In 1930 he took up post as the second controller at the noted Greyngog Press in Wales, famous for its extremely high quality limited edition print runs. This was an arduous post with a heavy workload and in 1933 McCance decided to step down and concentrate on his own artistic outputs once more, moving into a converted windmill in Albrighton near Wolverhampton. 1944 saw McCance return to teaching once more, becoming a tutor in typography and book production as a college lecturer. McCance and Miller-Parker separated in 1955, and in 1963 McCance married his teaching colleague Dr Margaret Chisett and settled in McCance’s homeland of Scotland once more. 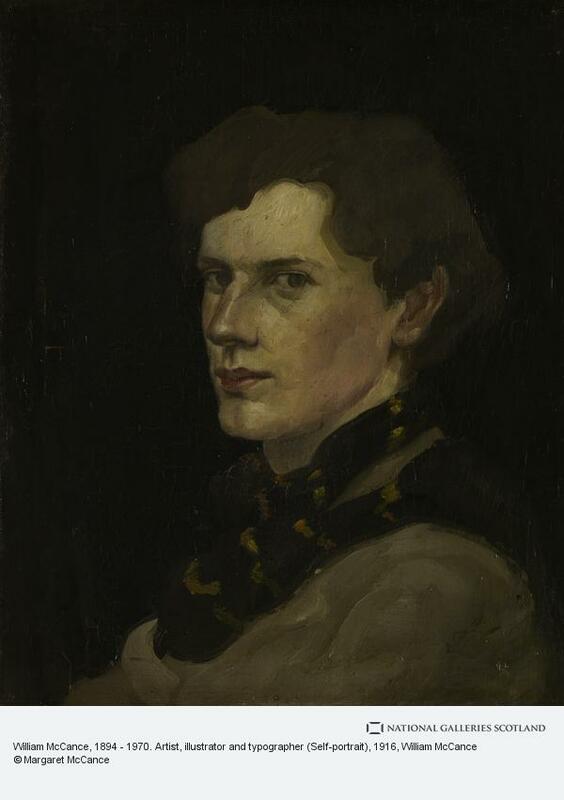 He died in Girvan in 1970, not only as an artist who had exhibited with the Royal Scottish Academy amongst others, but also as a civilian who felt the courage of his conviction to take the trials and tribulations endured as a Conscientious Objector in Britain during the First World War. The actions and courage of those COs paved the way for more like-minded individuals to claim CO status when the Second World War erupted in 1939 and their legacy lives on in these individuals and other conflicts which have come since.